Purpose: Use this document as a reference for how run a Third party report. 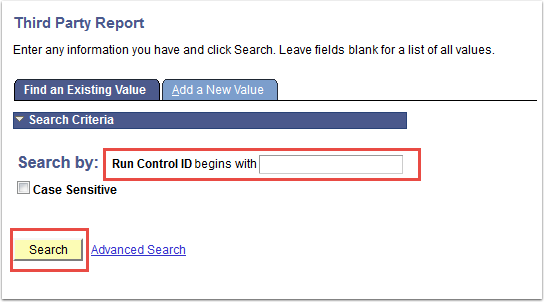 Enter an existing Run Control or Add a New Value. Enter Business Unit and click Run button. 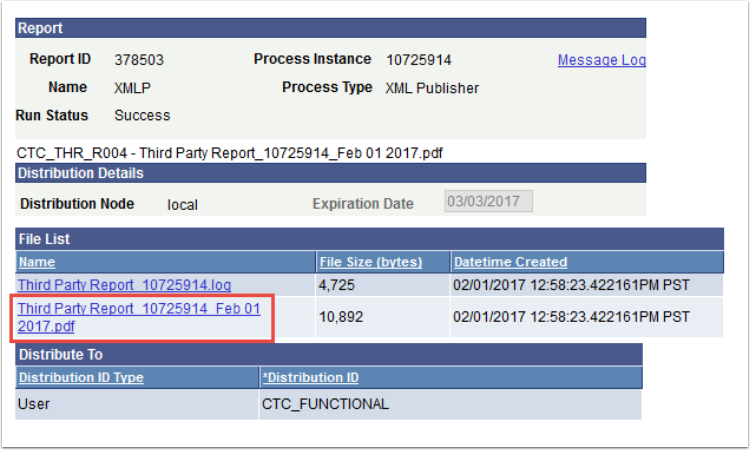 Select the Process Monitor hyperlink to verify the process has a ‘Run Status’ of Success and a ‘Distribution Status’ of Posted. 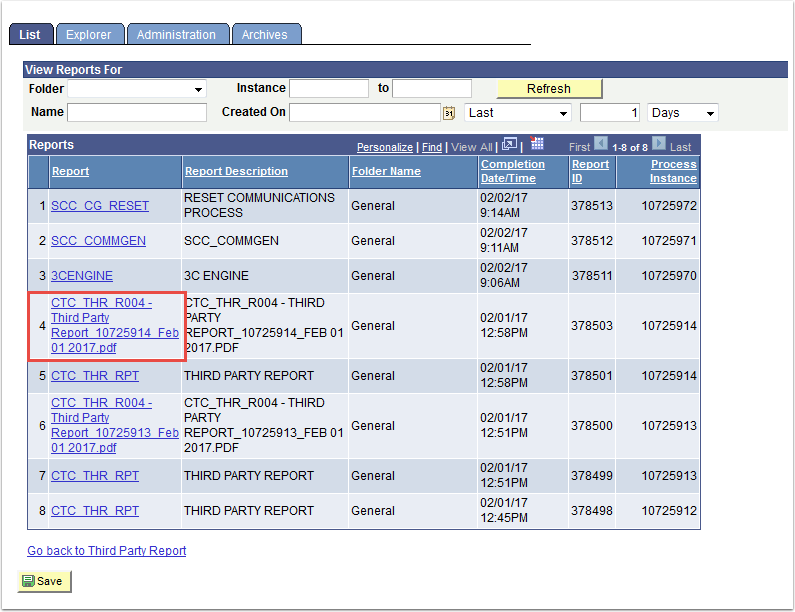 Click the Go back to Third Party Report hyperlink to return to the Third Party Report page. Select the Report Manager hyperlink. Select CTC_THR_R004-Third_Party_Report_10725914 from the available Reports. Select Third_Party_Report_10725914 from the File List Name to display the pdf.